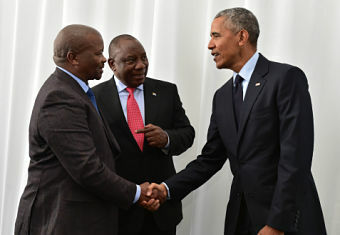 A few days after many people throughout the world celebrated what would have been Nelson Mandela’s 100th birthday on 17 July 2018, Barack Obama delivered the annual Mandela lecture in Johannesburg . Yet even as he highlighted Mandela’s affirmation of the common humanity of people, the Israeli government was busy passing a law asserting that the state of Israel exists for the right of self-determination “unique to the Jewish people” and not all citizens. The same law downgrades Arabic as an official language since 1948 to only “special status”. Apartheid, jingoism, racism, overt discrimination at many levels are alive and well globally. 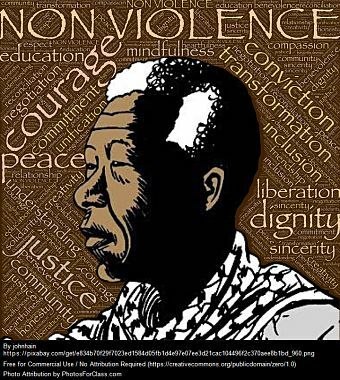 Obama said as much in his lecture, adding that Nelson Mandela must remain for those who struggle against oppression a “North Star”, giving direction, light and hope. I met Nelson Mandela three times after his release from prison, the first time in 1992 before he was elected president in 1994. At the time I had been working with the Institute for Contextual Theology and was involved in producing a theological reflection on Mandela’s freedom, entitled “The Release of Nelson Mandela: Reading the signs of the times.” With several colleagues we handed a copy to Mandela in his Soweto home. On another occasion, after he has become president of the republic, I met Mandela at a summit of political and religious leaders convened to seek ways to respond to the moral crisis in the country (addressing issues like corruption, violent crime etc.). What remains indelibly in my memory from these encounters with the man is the way he would take my hand in his large boxer’s hand, look me in the eyes, his own eyes smiling, and ask with his inimitable accent: How are y o u ? One felt an immediate sense of dignity and worth, and this offered by a person who had been imprisoned by the very white tribe to which I belong. But as Obama said in his Mandela lecture, this was the calibre of the man who studied Afrikaans while in jail, the better to understand his very oppressors. 16th Annual Nelson Mandela Lecture, 17 Jul 2018. GovernmentZA. flickr cc. If I may add a personal note by way of conclusion. I myself spent time in prison in South Africa during the apartheid years. I had been arrested for organising a 10th anniversary liturgical commemoration of the children shot and killed in Soweto on 16 June 1976. I found myself incarcerated with other “political” prisoners, ironically in contravention of the laws of apartheid. In the maximum security section we were made up of white, black, coloured (mixed-race) and Asian South Africans. We represented all the world religions as well as a confirmed atheist (who preferred to describe himself as a radical humanist). We ranged in ages from 19 (a mentally disabled young man who did not comprehend a police order to a crowd to disperse) to 76. We formed a close community of mutual support and service. currently on sabbatical in Australia.